5 bars of end cut soaps. Each bar will be simply wrapped and labeled and tucked in a cute little crate. 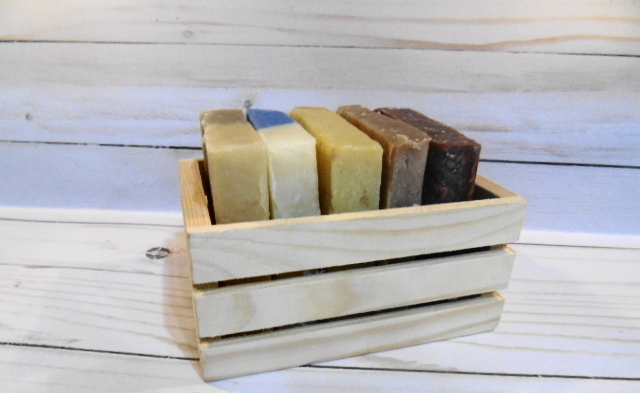 Each soap is 3 to 5 ounces of pure soap. These are the end cuts so "they ain't purty" but they are still filled with rich luxurious saponified oils. Fragrances will vary and is based on stock.